There’s a reason why nearly all clothing is made from cotton. It’s just. So. Comfy. Cotton is smooth and soft as well as versatile: you can make everything from blankets to tent canvas with that stuff. In this case, Timberland PRO made men's t-shirts. Your clas ... (see full details) (see specifications) #TB0A1HEZ015. There’s a reason why nearly all clothing is made from cotton. It’s just. So. Comfy. Cotton is smooth and soft as well as versatile: you can make everything from blankets to tent canvas with that stuff. In this case, Timberland PRO made men's t-shirts. Your classic comfy cotton shirt that's made for the job site, this handsome Timberland PRO Cotton Core Men’s TB0A1HEZ 015 Black T-Shirt is ready to go to work with you. With modern design elements that take this Cotton Core shirt from the backyard barbecue to the job site, this men’s workwear is the perfect addition to hardworking person’s wardrobe. 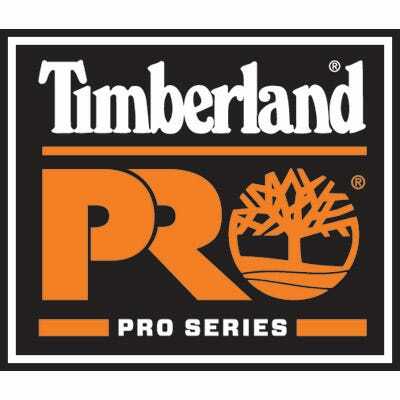 Timberland PRO knows how to make rugged workwear comfortable, and many of their products are best sellers for that reason. So when it comes to work shirts, you know what you’re getting before you ever even try it on - it's just that good. This Cotton Core black shirt is made from 100% pre-shrunk cotton jersey. The jersey knit is flexible and soft and brings this Timberland PRO t-shirt to a whole new level of comfort. The pre-shrunk cotton is rugged enough for the job site and has a flexible fit that retains its shape over time. The tagless label is a nice way to eliminate one more annoyance from your day. Rib knit on the collar and cuffs keep the shape and provide the stretch you need to get in and out of this men's workwear easily. The side-seam construction makes sure you can move freely. This reduces twisting and binding while you move at work, making less adjusting for you throughout your day. This lightweight 6.5-ounce design is great for summer work and also makes a great base layer in all other seasons as well. The Chest logo is screen printed for long term color to really show off your brand pride. It doesn’t get better than the comfy classic cotton t-shirt. Make sure you can enjoy your work day with a comfortable, long-lasting design like this Timberland PRO Cotton Core Men’s TB0A1HEZ 015 Black T-Shirt from Working Person's Store. I sure appreciate the great customer service that I received with my recent order. When I could have received a justified negative response, I got a "sure we can do that for you". Great service, products and price. What more can you ask for? Thanks for a great buying experience. Timberland PRO Workwear: Cotton Core Men's TB0A1HEZ 015 Black T-Shirt is being added to your cart.